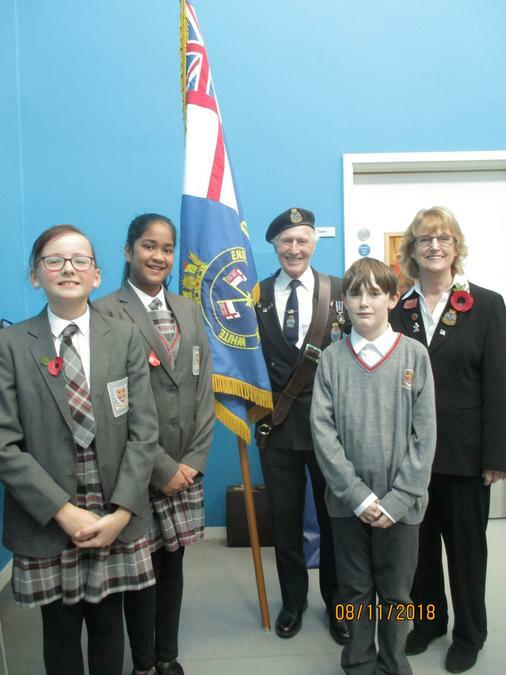 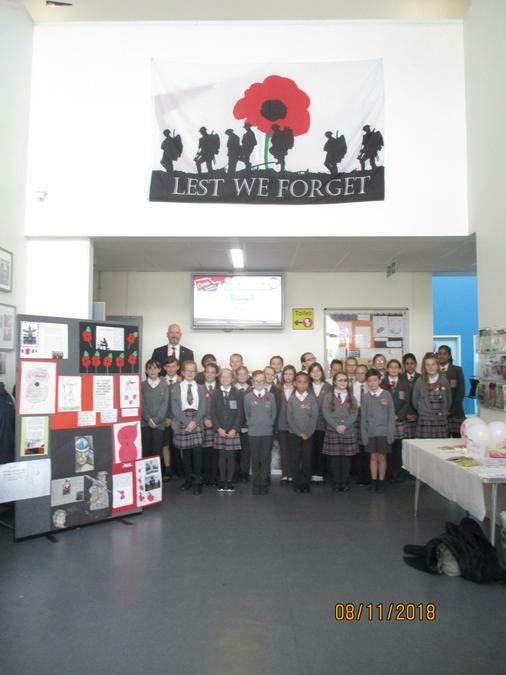 Our Year 6 students sang beautifully at Oasis Academy for their Remembrance Day service, singing 'Spirit of the ANZACS' and a Veterans version of 'Hallelujah' on their own before joining with Halfway Houses to sing a combined version of 'It's a Long Way to Tipperary' and 'Pack Up Your Travels'. 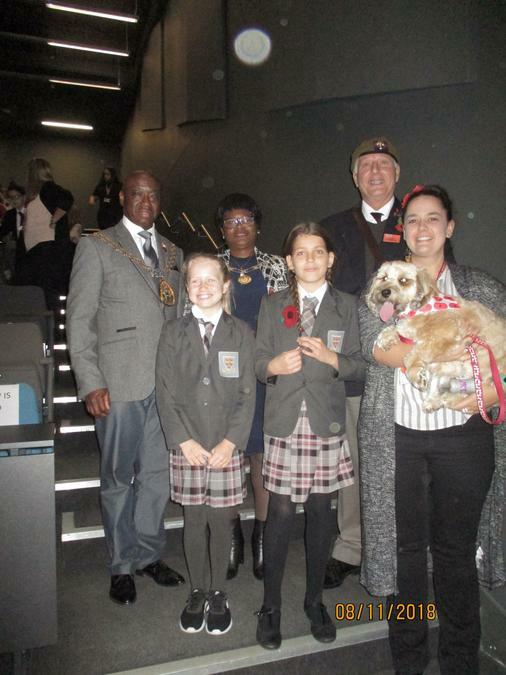 We were very honoured to be a part of the service and thank the Oasis Academy for their brilliant efforts in organising this event. 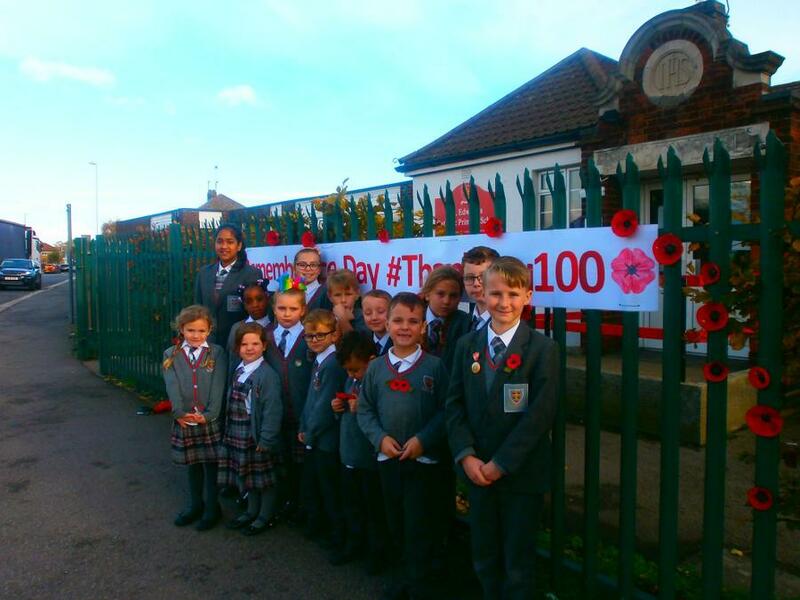 St Edwards School paid their respects to our soldiers both past and present by decorating poppies to be displayed on the school fence, along with a banner, to commemorate the 100 year anniversary of Armistice Day. 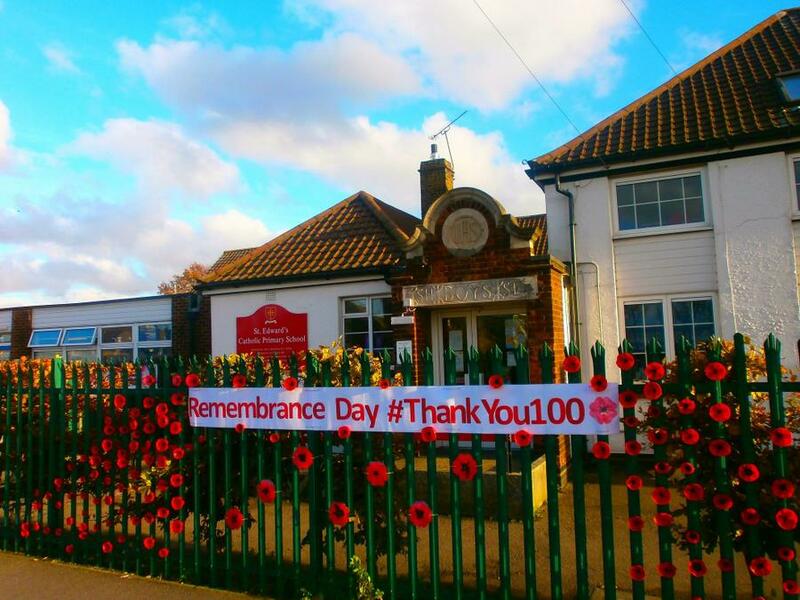 Along with the poppy making, the whole school embraced a Remembrance Day theme, with each class explaining and demonstrating the importance of remembering our soldiers and their bravery in their own way. 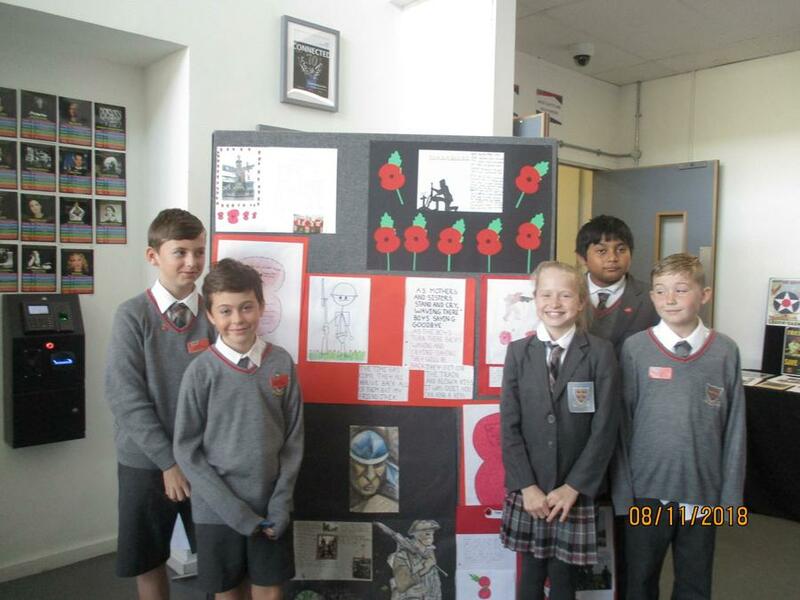 Students in Year 4 were shown the Sainsbury's Christmas Ad, which they used to write a prayer to the fallen soldiers. 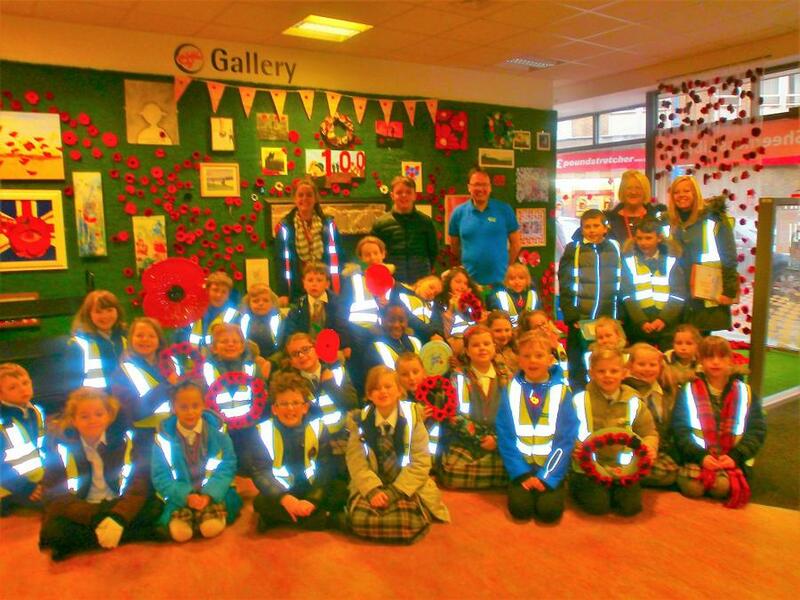 Year 2 students were very fortunate to be shown a video of Miss Pearce's grandfather, explaining his role in WW2. 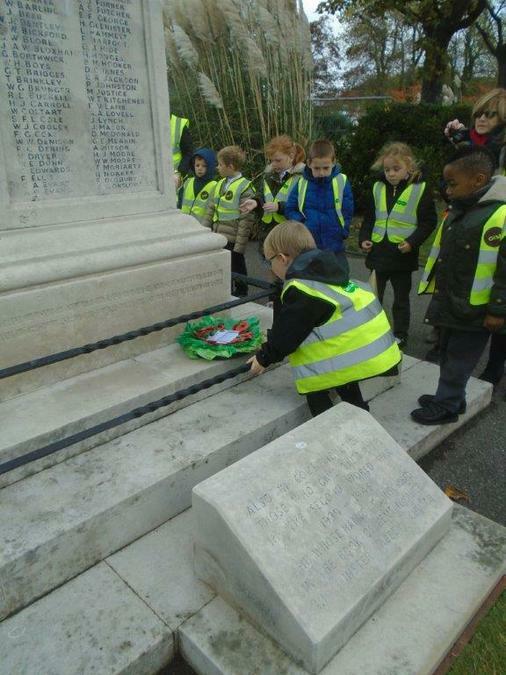 Year 2 also went to the Cenotaph to lay their poppy wreath that they had made. 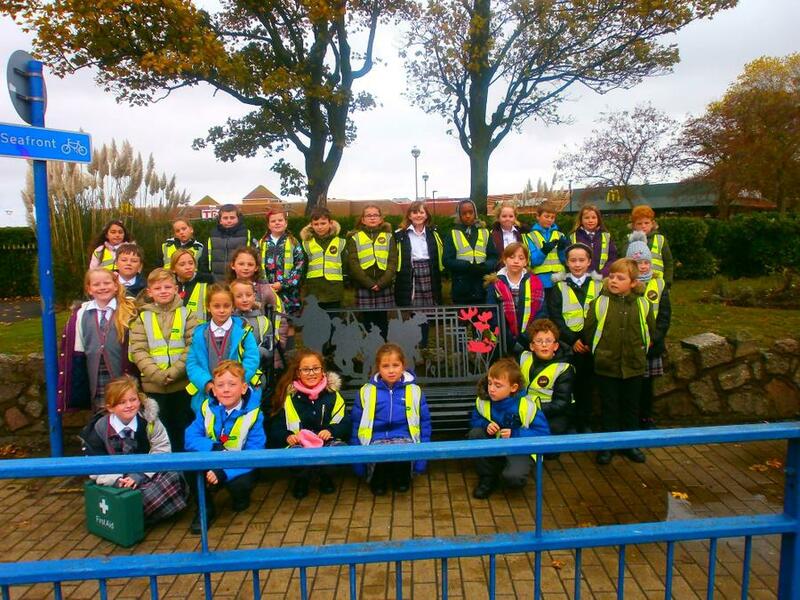 Whilst they were there they also planted poppy seeds in the Remembrance garden. 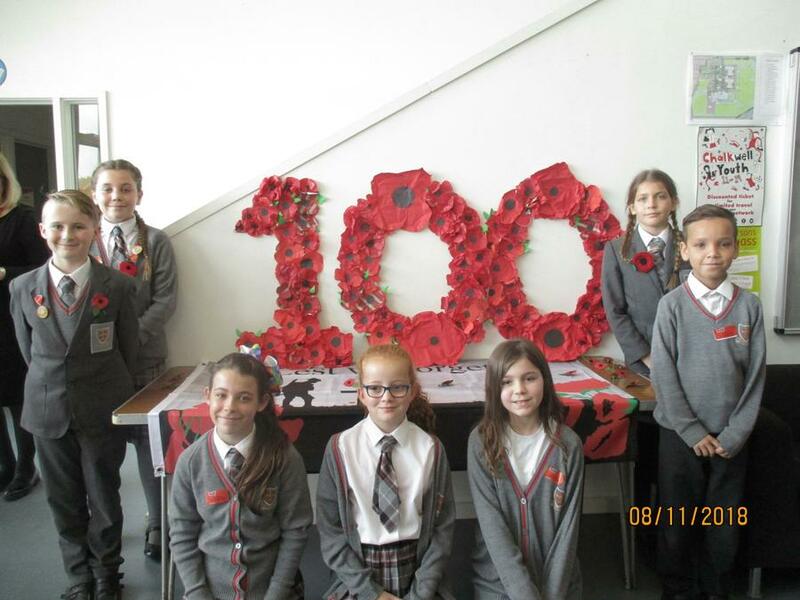 Our Reception students were making and decorating poppies, using their imagination and artistic skills. 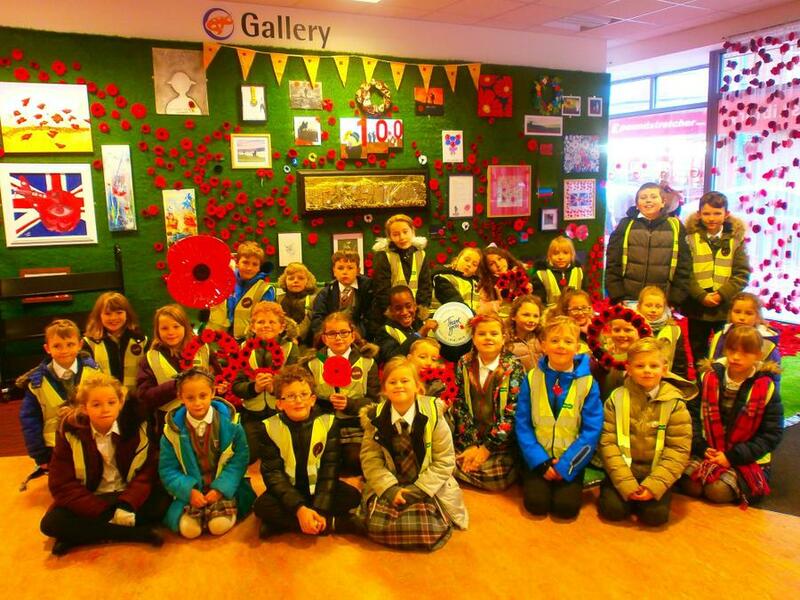 In Year 3, they expressed their respects by creating and performing a dance to a combined version of 'It's a Long Way to Tipperary and Pack Up Your Troubles'. 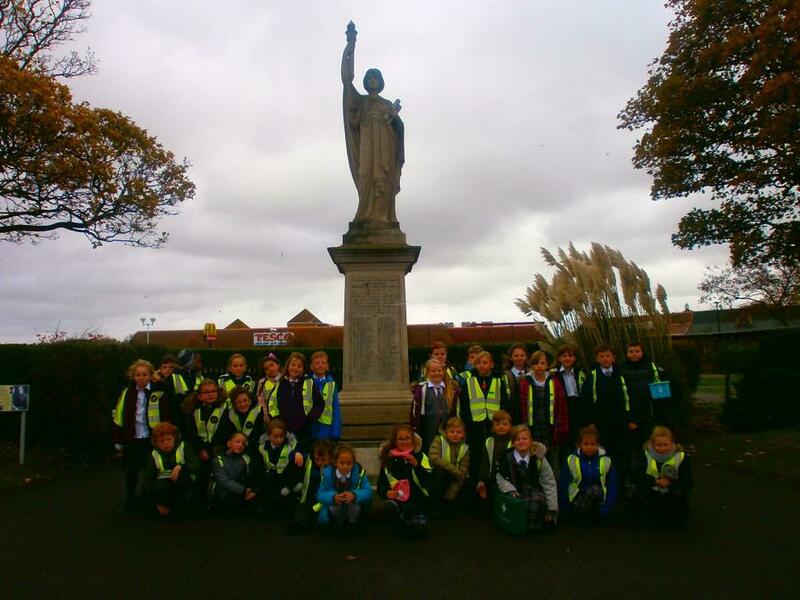 Year 1 students watched a video of the Queen laying a wreath at the London Cenotaph, discussing the importance of paying our respects. 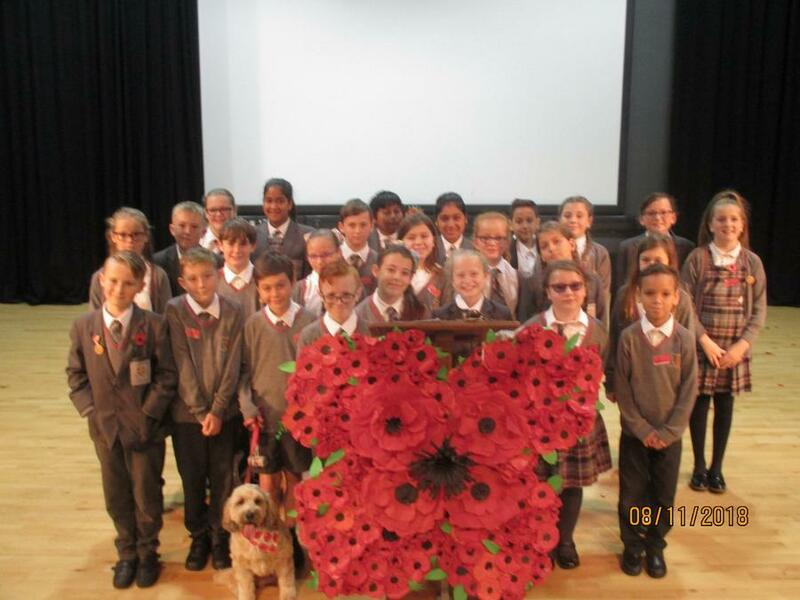 All students and staff embraced the day, showing great understanding and respect.